UP must now shift its focus to the Saint Mary's Gaels (15-4, 7-1), who sit alone in second place in the WCC standings after a 68-47 loss at #3 Gonzaga on Thursday. In case you haven't heard, Pilot fans are encouraged to wear black as part of blackout night. Black rally towels will be handed out at the main entrance....unless you are a straggler, perhaps. The game will be aired live on TheW.tv and on the radio on Sports 910 (KMTT). I have not yet watched the tape of the GU vs. SMC game, but I know SMC is loaded with transfers, is very tough physically, and has a very good coaching staff, including one time UP assistant, Jim Shaw. Everything SMC does goes through Brad Waldow who averages something like 20 points and 10 rebounds per game. I'm actually optimistic the Pilots can beat the Gaels, but a number of players will have to step-up their game on both ends of the court. UP will need to do a much better job from outside and on the line than they did against UOP, and they will have to minimize Waldow through shear will and determination, because no one on the Pilots squad matches up with him. The SMC players are excellent, but Coach Bennett generally only goes about 6 to 7 deep. Let's hope the Gaels are suffering mentally and physically when they arrive in Portland.....and even more so when they leave! Actually, Thomas outplayed Waldow in the second game last year at both ends of the court 22 pts to 14 and out rebounding him. The first game...not so much, but it wasn't awful. But he's going to have to step it up this year. Waldow is better. Against GU, SMC shot 36% from the field, including only 13% from 3Pt! And 60% from the FT line. I saw a couple minutes, but it was already no contest, and I didn't watch the tape of the game. Glass half empty, I fear SMC got blown out so thoroughly that they didn't expend much energy in the 2nd half. With the Pacific/Portland game blacked out at our bar ( ) we settled for the SMC/Gonzaga game on ESPNU. They doubled Waldow for much of the game and Waldow made a couple nice passes out of it but - in what would be a common occurrence throughout the game - SMC couldn't hit a wide-open shot. Game was closer than the score would indicate. GU went on a 22-2 run at the end. Landale gave the Gaels some real good minutes in the second...and I doubt they'll shoot as bad on Saturday as they did last night! In case you haven't heard, Pilot fans are encouraged to wear black as part of blackout night. I am conflicted, because black is not my lucky color shirt, and I would hate to be the cause of a loss by not wearing a lucky shirt. Is it possible to do some fancy layering? Lucky shirt underneath (therefore closer to your heart!) and black over it? 2) Keven Bailey plays an excellent, efficient game, and is awarded WCC Player of the Week. After all he's been through in his career (injuries, losing seasons, etc. ), it's been a long-time-coming for him to get some serious recognition. With his 21-point showing against Pacific, Bailey could put himself in a good position to get the Player of the Week award if he has an excellent game on Saturday. It helps that BYU only plays once this week, making it considerably less likely that Haws or Collinsworth would be in the running. None of the Zags or Gaels had dominant individual performances last night. Biggest competition so far might be Brandon Clark, who scored 29 in Santa Clara's win over LMU. Stacy Davis also had an excellent game for Pepperdine, although they lost. DoubleDipper wrote: In case you haven't heard, Pilot fans are encouraged to wear black as part of blackout night. Ha-ha-ha, thanks for reintroducing me to The Onion....it used to be my regular read. The Onion article reminded me exactly of the one time I went to a game at BYU, except that in Provo it seemed as though there were thousands of kids everywhere in the stands, all of whom were also wearing white T-shirts. It would probably be more effective to just turn off the lights in the Chiles Center instead of everyone wearing black, but it is a good way to help the fans act as one in helping the Pilots overcome the Gaels. I just heard from a friend of mine who is a pilot and a US Marine. He saw the St. Mary's team at PDX and had an opportunity to "Nancy Kerrigan" Brad Waldow for the Pilots, but said the guy was way too huge to mess with. 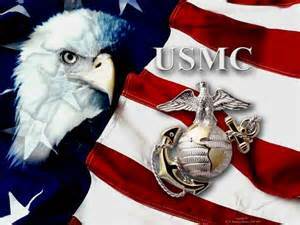 My Marine buddy and his family will be joining us for the game....OORAH!! Kudos to the coaching staff for a good game plan tonight. Waldow got his 19 points, but really had to work for them. Pilots were only 11 for 45 (24.4%) tonight from inside the 3Pt line, most of them inside 6 feet. Good shots, just couldn't get them to drop. Coming into this game they were 48.5% on those shots. If they shot their average, this is a 10 point win. I guess missed shots are just contagious. With 13+ minutes to go, Pilots led 45-40 after a Sharp 3pt. Every one of those plays was by a senior. 14 straight points with no misses until the 2nd free throw to go from down 5 to up 9. And that was basically the game. Still no word on Tyson? Terry Cahill wrote: Still no word on Tyson? D'Marques will be a vital part of this team in the future, but for now "he needs to show up for practice everyday and work his tail off to earn a spot in the lineup by showing he's the better player." Thank you to the audio folks and the band for the great music last night... finally some variety. I think the *entire* crowd was enjoying it! PilotNut wrote: Thank you to the audio folks and the band for the great music last night... finally some variety. I think the *entire* crowd was enjoying it! Agreed! The atmosphere in the Chiles Center last night was the best I've encountered in some time. People of all ages were "into it," and the students appeared to be fired-up by the various tunes causing them to show excellent support for their fellow students on the court. Some may say that "Sweet Caroline" is not the kind of music that will fire up a crowd, well that may be so, but it certainly got the crowd in the mood for noise and excitement. Face it, except for that dastardly 14-0 run, this crowd almost willed their team to victory over a senior laden opponent that has but four losses on the season.